£100 Off Selected Handsets Student Discount at Mobiles.co.uk Students! Save with Student Beans and Mobiles.co.uk today. £50 Off Upfront Cost of Selected Pay Monthly Contract Phones at Mobiles.co.uk Grab this eggcellent Easter offer from Mobiles.co.uk. Free Gift with Selected Contracts at Mobiles.co.uk - PS4, iPads, and Smartwatches Mobiles.co.uk have some fantastic gifts on offer with selected contracts so all you have to do is take your pick! 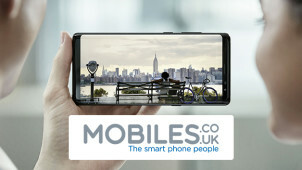 Samsung Galaxy S10 From £24 per Month at Mobiles.co.uk The newest and best Samsung Galaxy is on the market, so make sure you're first in line by ordering today, starting from £24 per month! Free Next Day Delivery on Orders at Mobiles.co.uk Get your delivery fast and free straight to your door with Mobiles.co.uk! iPhone XS from £22 a Month at Mobiles.co.uk If you've had your eye on the new iPhone XS, head to Mobiles.co.uk and discover the perfect contract for you. Free PS4 with Selected Phone Contracts at Mobiles.co.uk Know someone who would go mad over a free PS4? Who wouldn't? Get yours with selected contracts at Mobiles.co.uk! Phone Accessories from £9 at Mobiles.co.uk From chargers to headphones, Mobiles.co.uk has a great selection from £9. £50 Reward with Friend Referrals at Mobiles.co.uk Recommend a friend to Mobiles.co.uk and get £50 if they open a new contract! Launched in 1995, Mobiles.co.uk is your savvy online mobile phone provider that'll keep you up to date with all the latest technology from the top network providers. With 19 years’ experience, they are innovative in what they do and always strive to exceed customer's expectations. Voted Best Online Retailer 2016 - you can trust Mobiles.co.uk to give you the best choice of mobile phones on contract or pay as you go. They also offer line rental packages, cash back deals and upgrades on all your favourite networks - shop with us to save on a great array of goods and services. Now you can go faster with Mobiles.co.uk and the ultimate guide to 4G - you will never encounter slow connections again. You can check your coverage by location using their online tool and they will take you through the steps to finding the perfect smartphone for all of your needs. Whether you’re into your apps, music, video streaming or all three – Phones.co.uk can make it happen in a flash and for the best price. How do I use my Mobiles.co.uk voucher code? Depending on the offer, your deal will either be automatically applied at the checkout or you can enter your voucher code underneath your basket details. Scroll to the bottom of the page and click ‘Proceed to your details’ to finalise your order. Sign up to the Mobiles.co.uk newsletter to find out about exciting new offers and products! Does Mobiles.co.uk do student discount? There are loads of sweet offers for students at Mobiles.co.uk. Simply visit vouchercloud to find them and ensure that you have an account with Student Beans or UNiDAYS then you're in for a real treat. Mobiles.co.uk use DPD for a secure and reliable delivery service which above all is completely free. You can take a look at their delivery information pages to get an estimate of when your parcel will arrive, track your order with your parcel reference number or to have a look at their FAQs. Should you be unhappy with your purchase, Mobiles.co.uk gives you 14 days to change your mind after the receipt of your goods. Do take a look at the returns policy for their exact guidelines on refunds and exchanges. You can call the Customer Service Team on 01509 615 474 to answer your after-sales queries. Check here for line operating hours and to get in touch with your specific network provider. Mobiles.co.uk delivery is always free, and is handled by DPD - meaning you'll be notified of a 1-hour timeslot on the day of your delivery. Orders placed Monday-Thursday before 6pm will arrive next day. Orders placed Friday-Monday before 6pm will arrive Tuesday. Sim-only contracts arrive within 5 working days. To return a handset to Mobiles.co.uk, get in touch with the customer service team or fill out a cancellation from request via the 'My Account' section on-site and ensure everything you received is returned in the original packaging. To get in touch with Mobiles.co.uk online, you need to log-in to your account and click on the 'My Helpdesk' section, before hitting 'contact us'. Looking for a trendy new mobile phone? Mobiles.co.uk is the number one mobile phone deal specialist capable of finding you an amazing offer today! Whether you're looking for a new contract phone, pay-as-you-go deal or jazzy upgrade - use a Mobiles.co.uk voucher code today and shop for deals on the latest phones from the hottest brands. Here you can shop in confidence and find fantastic deals that aren’t on the high-street! You can treat yourself to a free gift available with many of their phone contracts. Check out the free gifts guide to see how you can add value to your amazing mobile phone deal. Simply choose your gift and then select a phone from the range of handsets available with the offer. You won’t have to pay upfront and what better accompaniment to your smartphone than a sleek tablet? Apple is a trusted and well-loved brand that is our go-to when it comes to smartphones and tech. At Mobiles.co.uk you can find all the latest products to keep you ahead of the game with simple, sleek and efficient designs. With a Mobiles.co.uk discount code you won’t be strapped for cash either, even when you shop for your apple devices - you can even find refurbished goods for a steal that are still in amazing working order. This is where we get our upgrades, check it out!